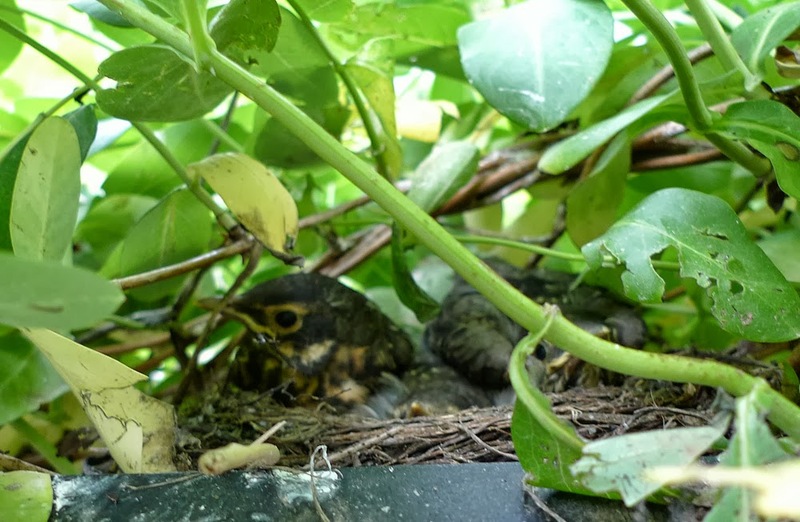 So I really want to go outside with my SLR and take some really nice shots of the baby robins, but when I went outside with my point and shoot to take the above photo, the baby got a little scared. I don't want to frighten them and Mama Robin isn't too pleased when I get too close, so this will have to do for today. They are so cute though!